natural anti-inflammatory for joint pain? Inflammation, the good and the bad. as protects the body against foreign invaders, such as viruses and bacteria. When inflammation occurs, chemicals from the body’s white blood cells are released into the blood or affected tissues to protect your body from foreign substances. This release of chemicals increases the blood flow to the area of injury or infection, and may result in redness and warmth. Some of the chemicals cause a leak of fluid into the tissues, resulting in swelling. This protective process may stimulate nerves and cause pain. The increased number of cells and inflammatory substances within the joint causes irritation, swelling of the joint lining and, eventually, wearing down of cartilage. There are many medications to treat inflammation, the most common ones being the over-the-counter non-steroidal anti-inflammatory drugs (NSAIDs) such as aspirin, and ibuprofen. Not only do these medications have serious negative side effects in the stomach and intestinal tract, but NSAIDs may actually accelerate the progression of joint destruction. 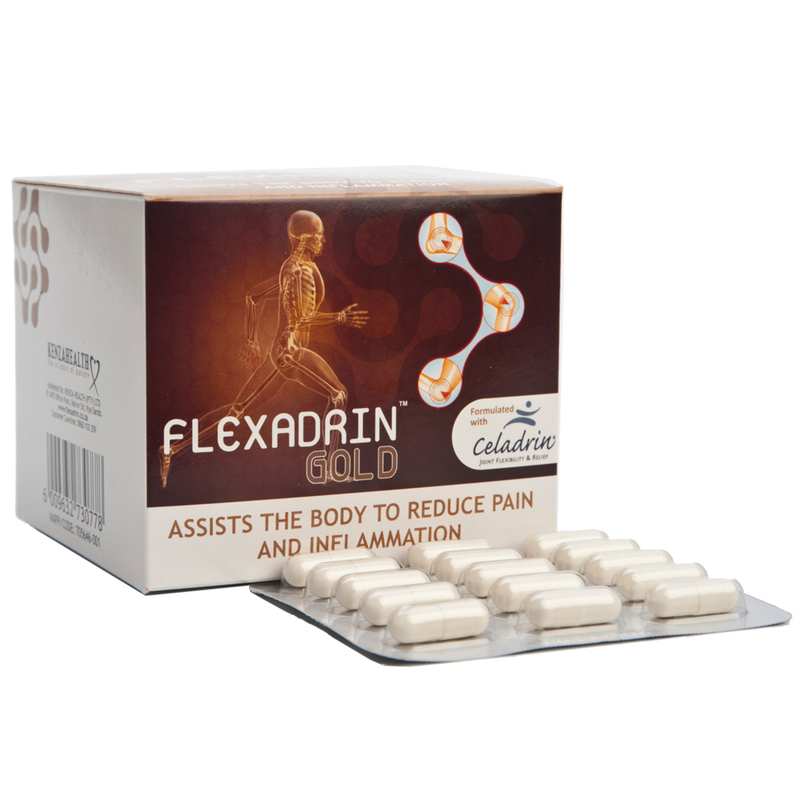 Celadrin®, the key ingredient in Flexadrin™, is a novel, all natural ingredient which has been medically shown to help the body reduce inflammation and pain as well as helping to lubricate affected joints, resulting in pain relief and increased mobility. 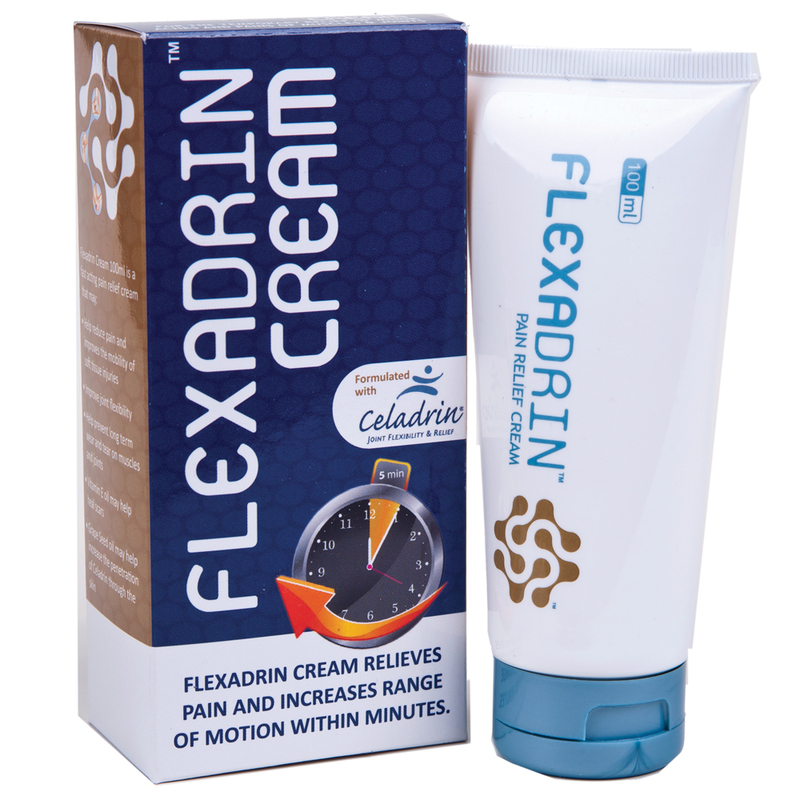 TheFlexadrin™range includes Flexadrin BLUE™, Flexadrin GOLD™ (for diabetics and people with seafood allergies) and Flexadrin™Cream (for the temporary relief of minor aches and pains of muscles and joints). 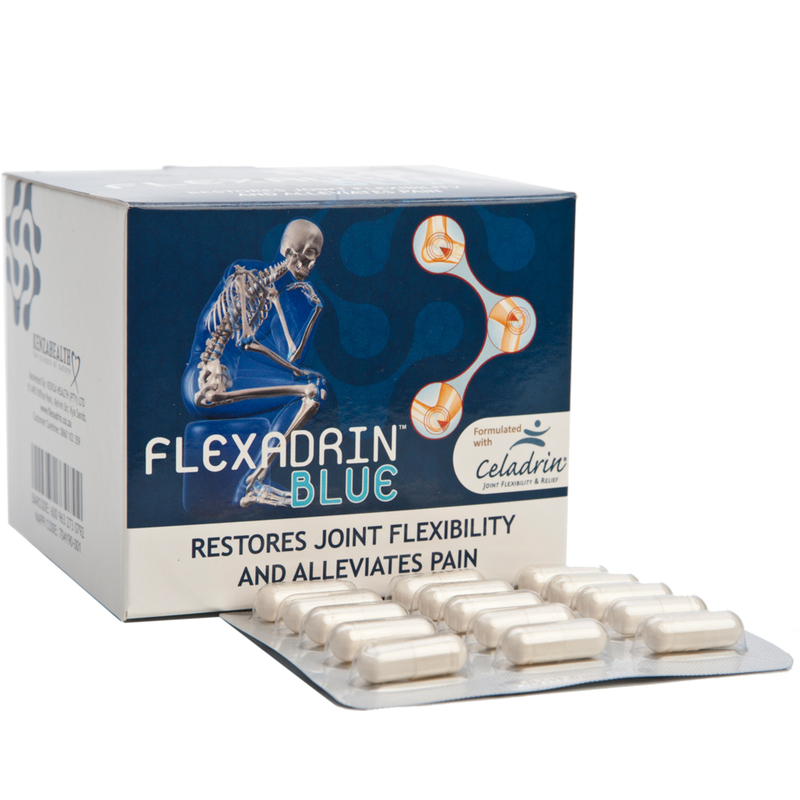 Flexadrin BLUE™ is formulated with Celadrin® and the added benefits of Glucosamine. Glucosamine assists the body in rebuilding cartilage and the overall structure of the joints. The dual action of Celadrin® and Glucosamine provides rapid joint cushioning, quickly alleviating inflammation, building cartilage and restoring the entire joint area.